Hello, hello! :) How are we doing today? I'm so-so. Got some pulled muscle issues it appears, so I'm walking really slow :) hehe It'll clear up soon enough, tho. I won't be disabled forever! haha :) Have you guys checked out the two giveaways I've got going right now? You can check out my collab giveaway with another blogger here, and you can take part in my End It Movement awareness giveaway here. 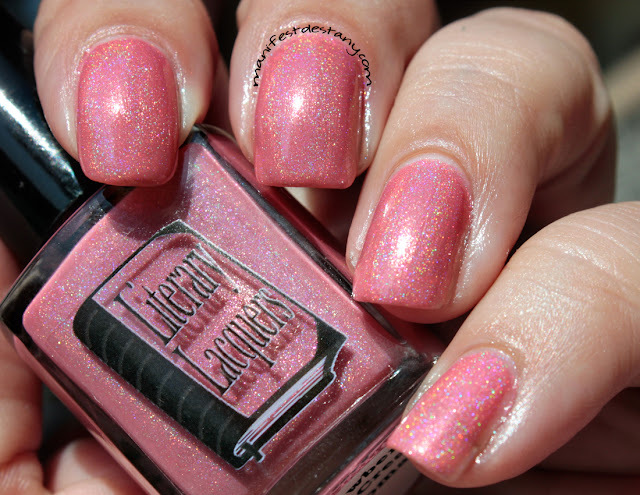 Strawberry Ice Cream Soma is a bubble gum pink crelly holo. I applied this in three thin coats. See that holo shine in the sun? 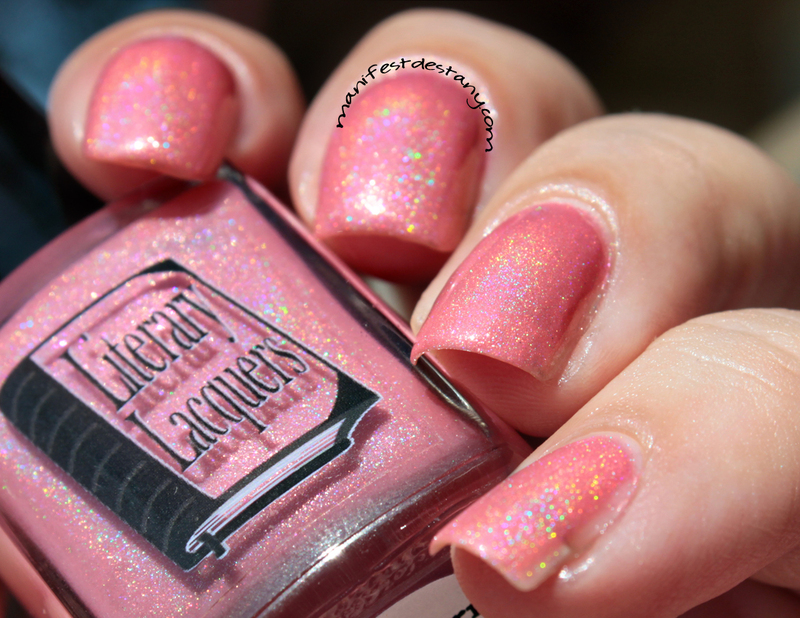 The formula was like most holos I've tried. A little thin, but built up well. It's a very delicate color, I think. It's inspired by Brave New World by Aldous Huxley, which I've never read. Have any of you? This polish, along with the rest of the Literary Liquors collection (5 holos and a glitter top coat) will go on sale September 5 on the Literary Lacquer Etsy page! Will you be picking any up?